Powerscourt Golf Club was voted the 'Best Parkland Venue in Ireland, 2014' (Golfer's Guide to Ireland) and also hosted the 1998 Irish Open Championship which our own Padraig Harrington won in a play-off. There are no tee time restrictions so you can play at ANY TIME, ANY DAY OF THE WEEK (subject to availability), on ANY of the courses. 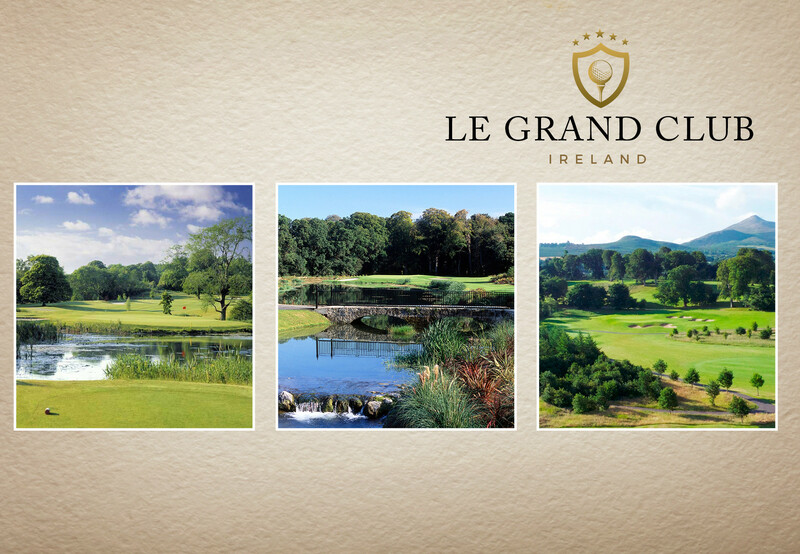 Both Powerscourt and Headfort have 2 courses, and your Le Grand Club Golf pass is valid for either course. Golf Pass cards are valid until 30.04.2017 and cover a full green fee, any day of the week at each golf club.